Click to view highlights from the last seven (of ten) sessions of Project Anton at the San Francisco Public Montessori School. Project Anton is a collaboration among ArtSeed, the San Francisco Contemporary Music Players (SFCMP), and the San Francisco Public Montessori School (SFPMS). Music by twentieth century master composer Anton Webern, the focus of this unique partnership, will be featured, along with work specially created by ArtSeed students, on a Contemporary Music Players concert next spring. One hundred sixty pre-k through fifth grade SF Public Montessori School students are presently immersed in Webern’s Concerto for Nine Instruments, Op.24, composed in 1934. 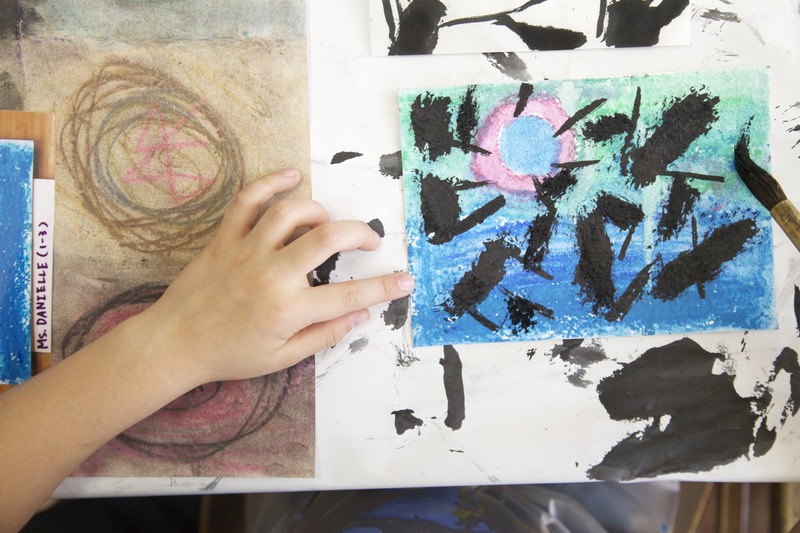 While listening to and learning about the origins of and ideas behind this twentieth century classic during the ten-week project, our youngsters work with visual analogies and techniques as they create their own artistic responses to the music. The final work will be displayed and celebrated at a San Francisco Contemporary Music Players concert on Monday, March 24, at the Yerba Buena Center for the Arts. Concert. Details can be found at http://sfcmp.org/project-anton/. And, in anticipation of that event, have a listen to the Webern Concerto.